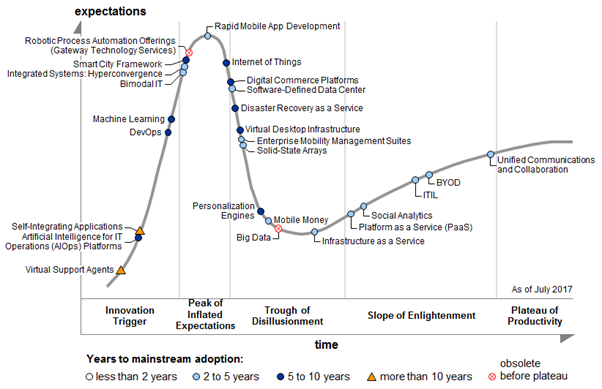 The Gartner Hype Cycle for ICT in India, 2017 exemplifies the trends in India related to taking interest in new and emerging technologies, yet also taking a cautious approach toward mainstream adoption, according to Gartner, Inc. The market is also witnessing the entry of local vendors in emerging (as well as mature) technology segments, covering such areas as the Internet of Things (IoT), robotic process automation offerings and machine-learning-based technologies. In India, most of the technologies on the Hype Cycle have a high to moderate benefit for organizations; 13 of the technologies will take two to five years for mainstream adoption, and nine technologies will mature during the next five to 10 years. Some technologies, such as mobile money, social analytics and robotic process automation offerings, will support new ways of doing business across industries. Technologies such as machine learning, IoT and smart city frameworks are of a transformational nature, which will result in a significant transformation within the industry dynamics and in the creation of a new ecosystem. Those on the Innovation Trigger, such as artificial intelligence for IT operations (AIOps) platforms and virtual support agents, may take longer to achieve wide market acceptance. These technologies have less than 5 percent market penetration, and will take a long time to reach mainstream adoption. The Hype Cycle for ICT in India, 2017 (see Figure 1) identifies 26 key technologies at various states of maturity that are most relevant for information technology in India and positions them on the Gartner Hype Cycle. 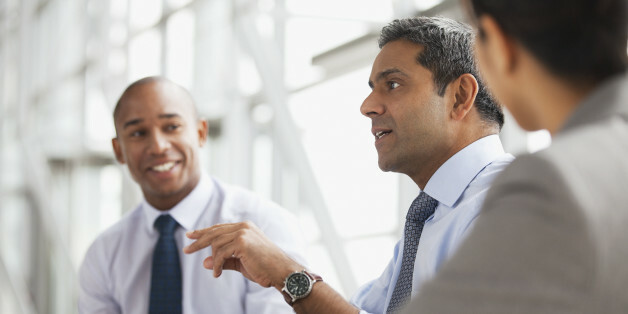 This provides a snapshot of technologies that CIOs and senior IT leaders in Indian enterprises should consider when transitioning to digital businesses. Four technologies – cloud service brokerage, crowdsourcing, 4G and software as a service (SaaS) – no longer appear on this Hype Cycle, because they have matured, been replaced by a technology more relevant to the Indian market or become obsolete.